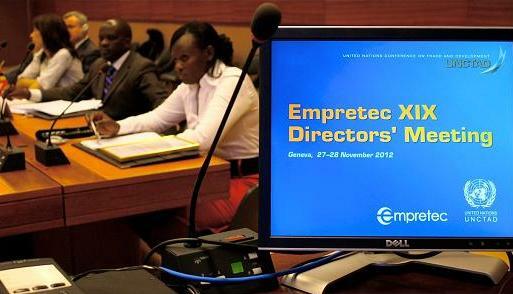 Empretec is a capacity-building programme of the United Nations Conference on Trade and Development (UNCTAD), coordinated from Geneva, Switzerland, by the Enterprise Branch of the Division on Investment and Enterprise. It was launched in Argentina in 1988 and since then has expanded to 40 countries across the developing world. In cooperation with local counterparts, the programme has assisted 440,000 entrepreneurs through local market-driven Empretec centres. The main beneficiaries are aspiring entrepreneurs, women entrepreneurs, small and micro businesses (including local small suppliers), young people and employees of large public and private companies.